Everyone remembers when the Clintons (Clinton Foundation) invaded and capitalized on Haiti after the earthquake of 2010, but not everyone is aware of the nefarious acts that have continued for years since. Below is only a taste of the power and control the Bill and Hillary Clinton duo maintain over Haiti. And make no mistake, their power and connections do not cease with Haiti. 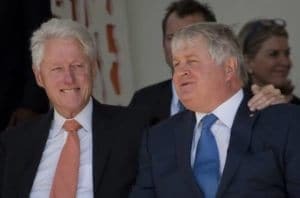 1) Most of you are familiar with the Digicel scandal, but did you know that Dennis O’Brien, owner and CEO of Digicel in Haiti, personally travels every 2 months in his private Jet to pick up CASH in U.S. dollars that his cellular monopoly is generating? Do you know where that money goes? The Clinton Foundation is given 10%, and several others in connection with this monopoly are thrown some small bones. 2) In 2016 – 59 dead bodies were found with missing organs in the small town of Thomazeau, in northern Haiti. It was never reported about. 3) Drug trafficking remains one of the largest problems and biggest money-makers in Haiti, with drugs running from Columbia to Haiti and straight on through to the U.S., along with three billion dollars a year in laundered money. Interestingly, some power players we know have interests in Columbia. Could there be any connections? 4) Though Haiti was a huge producer of rice, producing enough for both consumption and exporting, Bill Clinton had the tariff lowered, established a “deal” in Haiti to be “the seller of rice”, then proceeded to import rice from Arkansas. This completely obliterated the rice production in Haiti, as the farmers could no longer sell enough rice. 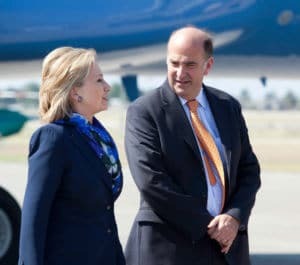 5) In February 2017, Kenneth H. Merten, U.S. Deputy Assistant Secretary, Bureau of Western Hemisphere Affairs and previous Ambassador to Haiti, along with Omarosa Manigault, were instrumental in leading the delegation of Jovenel Moïse to his installation as President of Haiti. Why was it so important that Jovenel, an alleged money launderer, be installed as President? Keep an eye out for articles coming soon on all of these topics plus a lot more! My source, a native of Haiti, is working diligently with me to get this information out. It is so important that Haiti is not forgotten in the midst of all the destruction perpetrated by the Clinton cartel. Much like the U.S., they have their dirty hands in everything in Haiti as well. And it doesn’t stop there. It kind of makes you wonder how that Clinton Foundation investigation is rolling along? It also makes one ponder as to whether the case of Retired U.S. Army Colonel Charged Bribing Haiti Officials, involving Joseph Baptiste, will shed some light on their ongoing pay-to-play games. Be sure to check out the other Haiti articles in The Haiti Files.